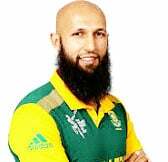 Hashim Amla scored his 23rd ODI hundred and brought up 1,000 runs in the format against West Indies yesterday as South Africa put on their best batting display and the only 300-plus score of the triangular series so far. 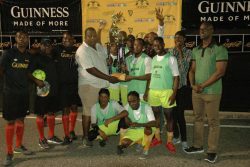 But that was half the reason for their victory in a must-win match to keep their hopes of staying in contention for the final alive. 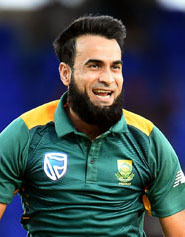 Imran Tahir claimed figures of 7 for 45 – the best ODI returns by a South African bowler, and also became the fastest to 100 ODI wickets from the country, reaching the mark in 58 matches. Tahir’s seven-for ensured West Indies’ record of never successfully chasing a target over 300 remained intact, and kept them to 204 – well below the 274 they needed to avoid giving South Africa the bonus point. The result meant that the St Kitts’ segment of the series ended with all three teams in the same position as they were after the Guyana leg. All of Australia, South Africa and West Indies have played four matches, won two and lost two. South Africa top the table thanks to two bonus points, the second of which came with their most convincing performance so far. In the lead up to the match, Amla stressed the need for the top six to shoulder the responsibility of run-scoring. Amla and his opening partner Quinton de Kock shared in a stand of 182 and laid the foundation for a strong finish. Allrounder Chris Morris. who returned from a hamstring niggle, was promoted to No.3 and provided a quick cameo before Faf du Plessis led the late assault. South Africa plundered 105 runs off the last 10 overs, illustrating the West Indian attack’s ill-discipline. runs an over with only the spinners, Sunil Narine and Sulieman Benn, able to hold an end. The pacemen could not find the right lengths and runs came easily for South Africa, especially for Amla. Amla dominated the early exchanges, outscoring de Kock, who hung back and let the right-hander take control. The pair brought up 50 in nine overs, 100 runs at the start of the 18th over, and 150 inside 27 overs in a chanceless stand. Amla attempted to accelerate after he brought up his 23rd ODI ton, off 89 balls. He brought out an uncharacteristic scoop shot and flashed at a ball outside off, getting a thick edge to third man, but then holed out to long-off as he attempted to clear the boundary. The stage seemed set for de Villiers’ entrance but Morris was promoted to No. 3. That seemed a mistake when, in the next over, de Kock’s off stump was taken out by a Jerome Taylor yorker. Still, de Villiers did not appear. Morris struck a flashy 40 off 26 balls, including four boundaries, before he found deep midwicket with a heave. De Villiers and du Plessis played Narine out before cutting loose. The pair plundered 64 runs off seven overs to take South Africa over 300 but it was du Plessis who stayed unbeaten with 73. 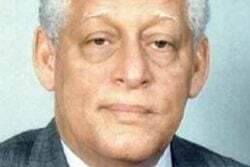 He did not get South Africa over 350 but he did get them enough. West Indies’ openers, Andre Fletcher and Johnson Charles, took advantage of Kagiso Rabada and Wayne Parnell’s insistence on bowling short. They raced to 58 in the first six overs before Tahir was brought on. Tahir made the first incision at the end of his second over thanks to a stunning catch by Farhaan Behardien on the midwicket boundary. Fletcher swung hard but Behardien grabbed it inches off the ground, with the ball dying on him. Morris and Shamsi helped Tahir keep West Indies in check. The spinners were exerting their control as Shamsi foxed Charles with a googly that he sliced to long-off. Parnell bowled Darren Bravo with a sharp offbreak to leave it to Marlon Samuels to try and stage a coup. 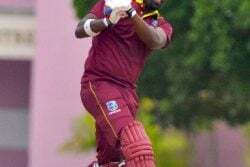 Denesh Ramdin hung around for more than five offers, before top-edging a googly from Shamsi to deep backward square leg. Did not bat: F Behardien, W Parnell, K Rabada, Imran Tahir, T Shamsi. Result: South Africa won by 139 runs. Points: South Africa 5, West Indies 0. Umpires: Gregory Brathwaite, Nigel Llong; TV – Richard Illingworth.